Are you looking for a notebook that is both stylish and power-packed with technology at the same time? If yes, then Samsung Notebook 9 Pro is the perfect tech to bring home today. Samsung is always known for its innovative, reliable, robust and value-for-money features, and its brand new Note 9 Pro proves it all. This latest variant is better than the previous one and is set to break all the records of notebooks industry. Samsung has earned success wherever it puts his shoes, and Samsung Notebook 9 Pro laptop is going to be the next renowned machine of Samsung this year after S10. Although it is not the Samsung flagship, it holds immense potential to give a good fight to Apple MacBook Air and Dell XPS 13. However, the new S-pen will surely add hype to this notebook. Samsung has always been very particular about the design of their products whether it’s a smartphone or a laptop. They believe that the design depicts class and every Samsung user has an elite circle. The Samsung Notebook 9 Pro has been built by keeping tech behemoth’s modern laptop design as the base which has resulted in a curvier shape, in both the lid and keyboard deck, with an outward silver sheen bedecked by a carbon-colored metal on the interior. Samsung has always been a fan of slick and simple design, and it is completely seen in the new Samsung Notebook 9 Pro. Talking more specifically, it has a silver-toned aluminum body with the Samsung logo on its surface which looks much more beautiful and elegant than its competitors. When folded, the screen gets perfectly aligned to the underside without any sound of the hinge. The camera is beautifully placed on the top of the screen. 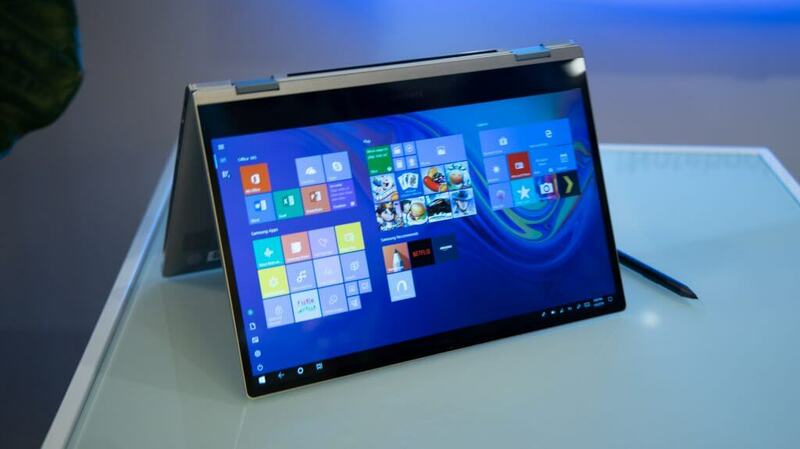 It is accompanied by thin bezels on its display, squeezing the 15-inch diagonal screen in the 13.67-inch-wide frame. At the bottom right, a slot is placed for the S-pen. The pen can be tucked into the slot easily. The touchpad and the keys are nicely set to prevent it from being mashed with the screen while folding. Along with it, the keyboard deck is massive, and the user gets a big room to supports its hands while typing. 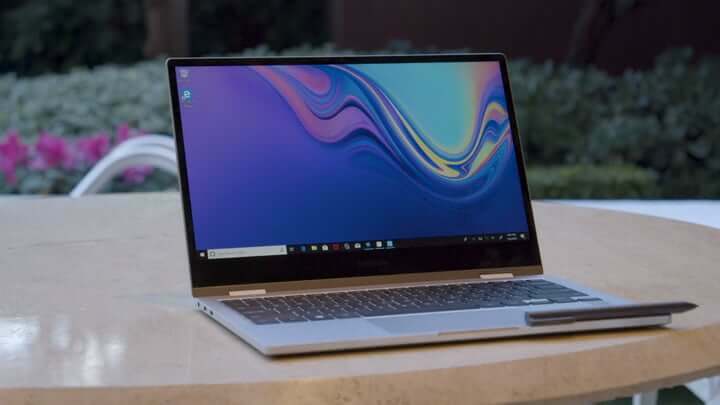 Samsung has designed this laptop close to its flagship smartphones which results in a more-curvier and premium looking design in comparison to its previous notebooks. Therefore, the Samsung Notebook 9 Pro will definitely make its user fell in love at first sight. Price has always been a deciding factor whether a product will fly in the sky or be slammed on the floor. However, Samsung always prices the product very smartly considering the market demands and competitors in mind. The Samsung Notebook 9 Pro is neither overpriced nor under-priced, and the company has made sure that the customers get value for money product. The notebook is available in two variants; one 13-inch for $1099 and other 15-inch for $1200. The price range will definitely be a deal closer for Samsung compared to its competitors, and therefore, the new S pen turns out to be a cherry on the cake. At this price range, a 16 GB RAM, touchscreen 2 in 1 laptop, stronger built quality and more will make Samsung Notebook 9 Pro a leader of laptops in the industry. The utility and quality of life improvements that Samsung Notebook 9 Pro is going bring will surely be a better deal than MacBook Pro and HP Spectre X360. However, the complete decision is of customers depending upon their brand preference and purchasing power. In total, the Samsung notebook is a worthy option to consider at such a moderate price. Performance is one thing which every user looks at, whether it’s a $350 laptop or $4000 laptop. The user always assumes to get more than what he is going to spend. However, Samsung Notebook 9 Pro passes all the obstacle of performance and wins the customers heart. The notebook doesn’t disappoint the average user by offering more than its value to the target audience, including students or home users with its i7 processor and AMD graphics. This notebook even let you play some cool games like call of duty, Assassin Creed and more. However, the game lags a bit, but for average gamers, it offers a great game experience. The 16 GB of DDR4 memory lets you multitask pretty well. All your basic necessities like email, browsing, watching videos and a lot more is a child play for this laptop. You can open plenty of tabs at the same time and along with carrying the other stuff without worrying whether the notebook will hang/lag or not. The touchscreen is convenient to use, and the stylus even enhances the user experience. The laptop is excellent in terms of performance, and the style just adds up the number in the overall rating of the Samsung Notebook 9 Pro. The following specs of the notebook prove why it is the best performing laptop of this year in this price segment. Many times it happens that the available memory is not enough or the RAM needs to be increased. And many users realize this reality after spending a hefty amount of money on a laptop. So, in this case, you should prefer a laptop which gives enough flexibility to upgrade as the need arise. However, Samsung Notebook 9 Pro does offer some upgradation, but not to such significant extents. 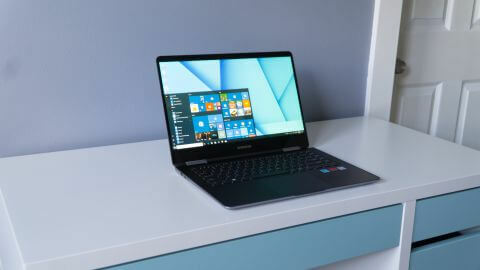 The notebook already comes with i7-8565U processor which is the Intel’s latest, so for the processor, there may not be a need for upgradation but still in future, if a new processor comes Samsung doesn’t allow upgrading it. But in case of RAM, you can upgrade from 8GB to 16GB to enhance the productivity of the machine. The Samsung has done a massive upgradation of 256GB of NVMe PCIe SSD storage in comparison to previous year’s model which used a SATA SSD which was slow in speed. All in all, Samsung Notebook 9 Pro is packed with all the latest tech and may not require upgradation for quite long, but still, if you wish to upgrade the device, then it may not be very flexible in relation to other laptops in the market. Samsung Notebook 9 Pro offers a good mix of current and legacy ports. On the right-hand side, there is a slot for microSD, and along with that, there are two USB 3.0 ports and two type-C ports [Thunderbolt 3]. On the left, there is a headset jack, an HDMI port, and a power port. The USB-C is used to charge the laptop from any third party AC adapter. For handling wireless connections both Bluetooth 4.1 and Wi-Fi 802.11ac is present. Easy transfer of files can be done wirelessly from Samsung mobile phones as it has some pre-loaded utilities. Samsung has many pre-installed app settings for connectivity like troubleshooting, network settings, metered connection and more which enabled and disenabled as per the need. The Samsung Notebook 9 Pro provides good connectivity range and options. Therefore, users will not face any issues when it comes to connectivity. Looking at the performance and specs of the hybrid 2 in 1 Samsung Notebook 9 Pro laptop, it seems that the company has done a great job in manufacturing a stylish and power-packed device in comparison its previous model. 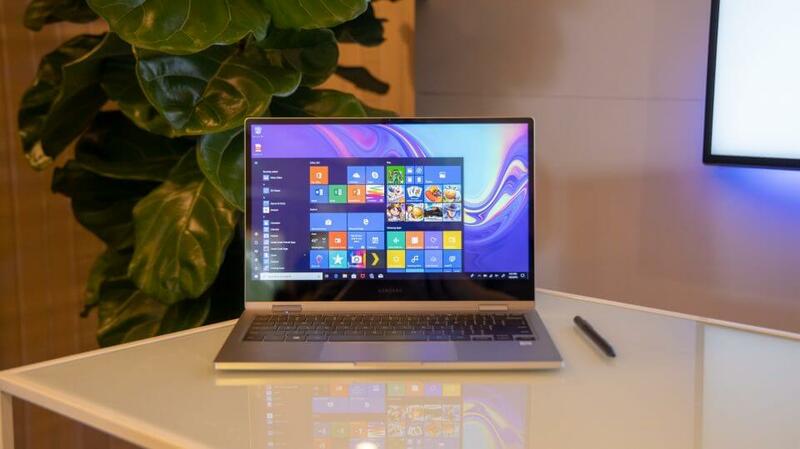 Moreover, the Samsung Notebook 9 Pro reviews prove that it is going to give a tough fight to its competitors and going to shake the laptop market this year.